Setting: A classroom in Houston. JENNIFER - popular, skates by on her looks. STEVE - athletic, a do-er more than a thinker. THOMAS - book-smart but awkward. 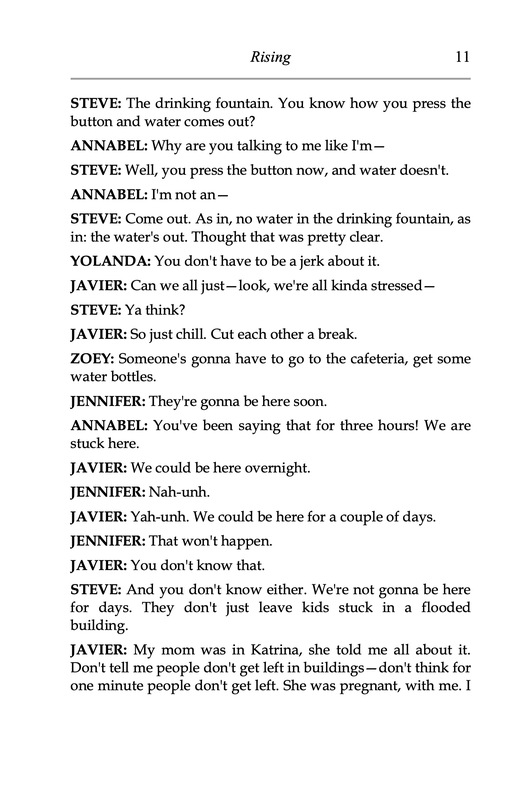 This is a brand new play, written during Hurricane Harvey, about Hurricane Harvey. 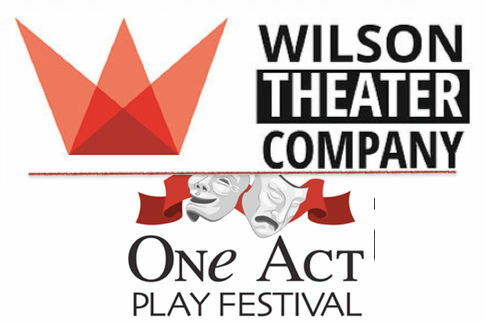 All author proceeds from the play will go directly to hurricane relief organizations. 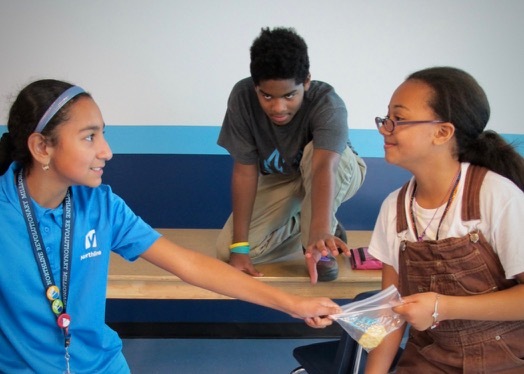 Rising is set in a Houston Middle School during Hurricane Harvey. I wrote this play while trapped in my Houston home by the rising waters of Hurricane Harvey. At the time I wrote it, I was waiting for the power to go out at any second, worried that my home would be damaged. There were several tornado warnings that held up writing... at the end of it, I was one of the very lucky ones - the waters filled our street, but didn't reach the sandbags in front of the door before they receded. 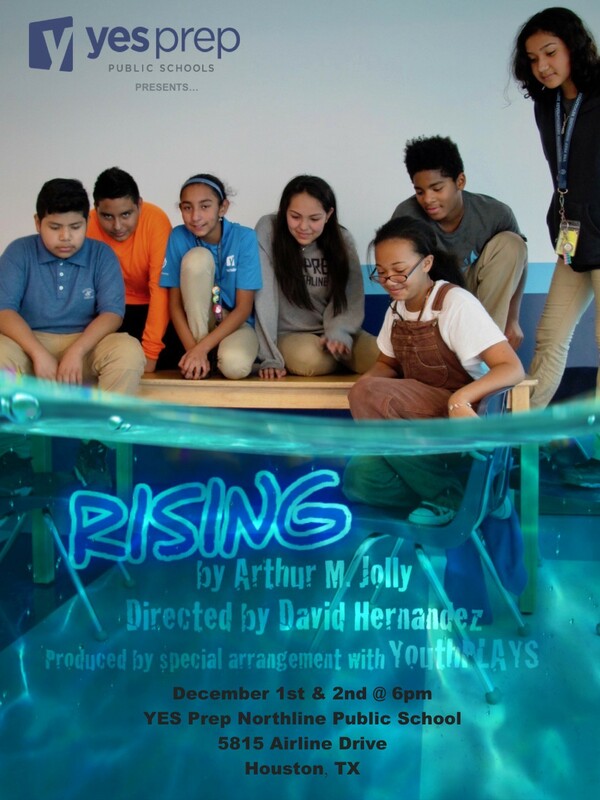 In Rising, seven combative Middle School students, trapped in their classroom by rising floodwaters, struggle to survive against the storm outside and the rising conflicts between them. As they clash over their minimal supplies and desperate situation, differences are magnified, and friendships are both forged and tested, until they are faced with the ultimate decision: Flee into the storm now, or stay while the water around them gets ever higher. If you are producing this play, I have pre-recorded sound FX files for the three radio announcements. Please feel free to email me and I will happily send you them! All author proceeds from this play, whether from sales or productions, are going straight to charities working for hurricane relief. The royalties from the latest production have been donated to a middle school in South Carolina, for a class project documenting their own experiences in the recovery from hurricane Florence. 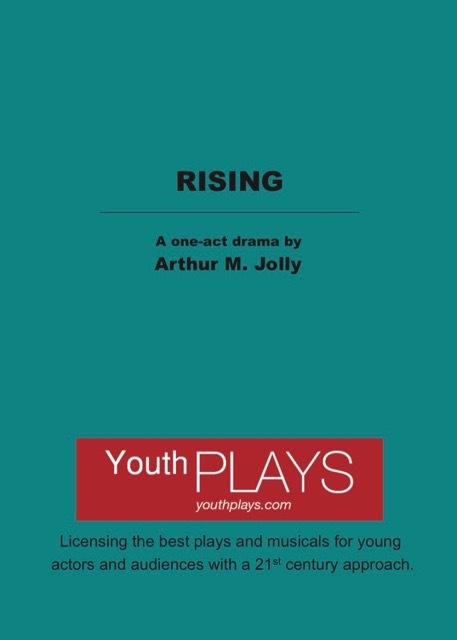 Rising will next be produced at Wilson High School's One Act Play Festival in West Lawn, Pennsylvania on April 24 - 27, 2019.